The off-Season can be a difficult time for athletes. You are removed from your coaches and teammates. Often this is when great athletes separate themselves from the rest of their competitors. One of the best things athletes can do during the off-season is to play other sports. There are a variety of different reasons why student athletes should continue to play other sports. Besides the enjoyment of playing sports and learning how to compete, there are more tangible benefits. Whenever athletes are involved in any game involving a ball, they are working a host of different muscles and skills that will benefit them in football. Things like reflexes, fine motor control and change of direction are essential components to all ball sports and are best developed through play. One component that these ball sports tend to develop better than football is spatial awareness. Sports like basketball require athletes to analyze space. In the course of any drive they must find space, find ways to expand it and then find ways to attack it. These are complex skills that are crucial for all skill players in football and are very difficult to develop through drills. Non-ball sports also bring a host of different benefits to football players. In non-ball sports like wrestling student athletes are developing an understanding for the human body and how to establish and use leverage to control opponents. 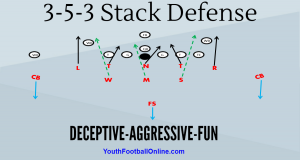 This is a huge advantage when these athletes need to block or tackle during the season. Another great sport for developing football skill is track. Track has a variety of different events for different bodies and they all help develop a specific set of skills. Obviously, the short sprints are great at developing speed and increasing athlete’s straight-line speed. While I am a believer in change of direction being more important than straight line speed, there is a need for straight line speed, especially in receivers. In the Shot Put and Discus the larger, stronger athletes are learning how to transfer their body weight to deliver the maximum amount of force. In addition, the majority of the techniques require a high level of footwork. This is an area where big men tend to struggle, and while the footwork doesn’t translate exactly to football, it will increase their foot speed and their ability to control their feet. While there are different drills that players can engage in during the off-seasons, the absolute best thing for them to do is get engaged in other sports. The benefits of these sports will carry over into their football season but more importantly they will be engaging with their peers and having fun competing.